From long, drawn-out meetings to quick interactions with coworkers, the conference room is an important location for all of your business needs. These tips will help you make the most of your time in business meetings. Make a list of any questions you might have so you are prepared during the meeting. Find a seat that is comfortable so you can continue to pay attention throughout the meeting. Do not be afraid to ask questions, but wait until the speaker is done talking to ask them. Check out this video for some more information on paying attention in the conference room. Whether you are having an in-person meeting or a videoconference in San Jose, these tips will make you a better worker. 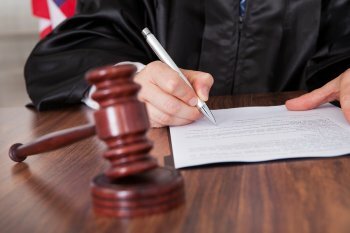 Since many universities do not offer bachelor’s degrees in the field, most court reporters only need to obtain an associate degree to start working as a court reporter. After a brief stint in school, a person can become qualified to work as a court reporter. As long as they have this degree, you know that they have gone through official training to start working in the field. There are also certain programs designed specifically for people who want to be a court reporter. These programs offer training certificates that enable them to start working in a shorter amount of time. If you are hiring a court reporter that comes from a training program, make sure they were in one that utilized laboratory training. This lab training gives a person real experience with court reporting, machine shorthand theory, and other skills that will be extremely useful and important when they start working. When you are looking to hire a court reporter, you should make sure they have gone through a training program that is recognized by the National Court Reporting Association (NCRA). This proves that they have the skills and qualifications necessary to offer you the best court reporting services for all of your needs. If you are looking for a really reputable court reporter in San Jose, you should try to hire someone with a registered professional reporter certification (RPP). This certification makes it easy to find experts in the field of court reporting so you can find someone that offers you the premium services. Make sure the size of the conference room works for the size of your meeting. There should be plenty of seating for everyone who is planning to attend. You should also have WiFi and T1 connections so you can use all of your electronic equipment. 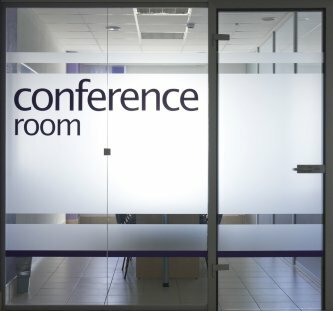 Find a conference room with LCD projectors, charts, whiteboards, and HD TVs and monitors. If you can set the scene for your next meeting with the right conference room, it is much easier to conduct any kind of meeting. Enhance the space with videoconferencing solutions that help you expand your corporate potential and reach a wider audience. How Do Steno Machines Work? Court reporters use steno writing to record more words per minute than regular typing. On a regular computer, you can only type one character at a time. Even the fastest typists can only transcribe about 100 words per minute. A steno machine enables a person to type in phonetic code so he or she can write more than 1 character, word, or phrase at a time. Once the document is complete, court reporters use specially designed software to translate the transcript into English. With a steno machine, a court reporter can record about 225 words per minute. Check out this video to learn more about steno machines and how they can make the best records. With the help of a court reporter in San Jose, you can take better records at all of your legal and corporate meetings.